Heavy metal as a genre and its surrounding music community is often understood as a space dominated by whiteness, heterosexism and cis-masculinity. While there is no doubt that these power structures and mechanisms of oppression are prevailing and reproduced in the scene, heavy metal is also a space of empowerment and an outlet for frustration and rage for its fans of color, its queers and female fans. 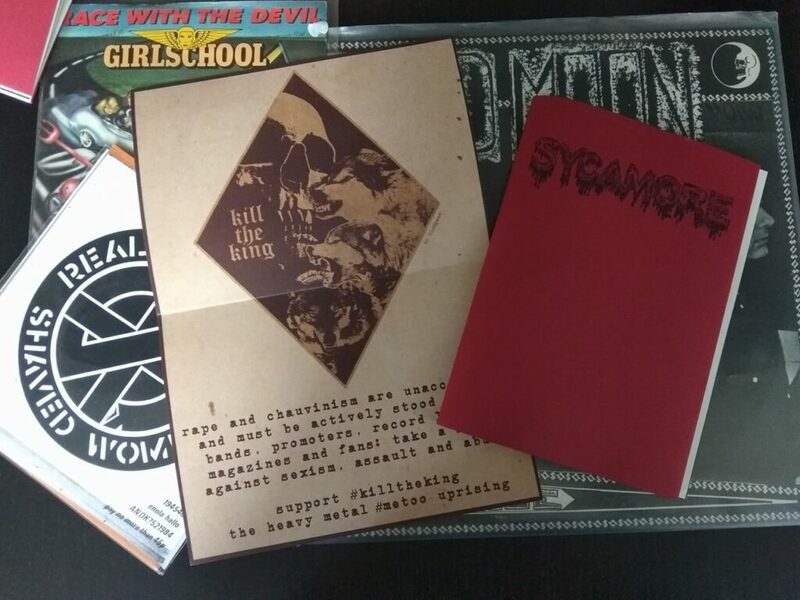 The Sycamore Network was established in 2017 aiming to carve out a space for women, queers and POC in the metal scene. We want to raise awareness of existing forms of violence and oppression, fight against them and change the subculture. At the same time we aim to center artists and fans from marginalized positions and empower them. Our primary tool for reaching these goals is our fanzine which hopes to open up a worldwide conversation between people in our target audience.